Crl, identified for curli production, is a small transcription factor that stimulates the association of the σS factor (RpoS) with the RNA polymerase core through direct and specific interactions, increasing the transcription rate of genes during the transition from exponential to stationary phase at low temperatures, using indole as an effector molecule. The lack of a comprehensive collection of information on the Crl regulon makes it difficult to identify a dominant function of Crl and to generate any hypotheses concerning its taxonomical distribution in archaeal and bacterial organisms. In this work, based on a systematic literature review, we identified the first comprehensive dataset of 86 genes under the control of Crl in the bacterium Escherichia coli K-12; those genes correspond to 40% of the σS regulon in this bacterium. Based on an analysis of orthologs in 18 archaeal and 69 bacterial taxonomical divisions and using E. coli K-12 as a framework, we suggest three main events that resulted in this regulon’s actual form: (i) in a first step, rpoS, a gene widely distributed in bacteria and archaea cellular domains, was recruited to regulate genes involved in ancient metabolic processes, such as those associated with glycolysis and the tricarboxylic acid cycle; (ii) in a second step, the regulon recruited those genes involved in metabolic processes, which are mainly taxonomically constrained to Proteobacteria, with some secondary losses, such as those genes involved in responses to stress or starvation and cell adhesion, among others; and (iii) in a posterior step, Crl might have been recruited in Enterobacteriaceae; because its taxonomical pattern constrained to this bacterial order, however further analysis are necessary. Therefore, we suggest that the regulon Crl is highly flexible for phenotypic adaptation, probably as consequence of the diverse growth environments associated with all organisms in which members of this regulatory network are present. The online version of this article ( https://doi.org/10.1186/s12864-019-5619-z) contains supplementary material, which is available to authorized users. Gene expression in bacteria is coordinated through the DNA-binding transcription factors (TFs), blocking or allowing the access of the RNA polymerase (RNAP)-sigma factor to the promoter and providing bacteria with the ability to activate or repress multiple genes under different metabolic stimuli or growth conditions. In the bacterium Escherichia coli K-12, seven sigma factors have been experimentally identified, together with around 300 different TFs responsible for recognizing and activating almost all of their genes . Among these, RpoD, or σ70, regulates around 40% of the total gene repertoire, whereas alternative sigma factors such as RpoS (σS), the master regulator of the stationary-phase response , regulate between 5 and 10% of the total genes in E. coli K-12 . Sigma factors and TFs regulate a large diversity of genes, hierarchically organized in regulons . Previous comparative genomics studies have suggested that regulons exhibit considerable plasticity across the evolution of bacterial species . In this regard, comparison of the gene composition of the PhoPQ regulon in E. coli and Salmonella enterica serovar Typhimurium revealed a very small overlap in both species, suggesting a low similarity in composition between the target genes that are regulated by PhoP in S. Typhimurium strains and in E. coli K-12 . Incidentally, this plasticity in bacterial regulons is evidence of lineage-specific modifications . We conducted an exhaustive analysis concerning the conservation of the Crl regulon in Bacteria and Archaea cellular domains, using as a reference the currently known system in E. coli K-12. Contrary to the most common regulatory mechanisms that involve the direct binding to operators or activators, Crl is an RNAP holoenzyme assembly factor that was originally identified in curli production. It is expressed at low temperatures (30 °C)  during the transition phase between the exponential and stationary phases, under low osmolarity, as well as in stationary phase . In E. coli, Crl has a global regulatory effect in stationary phase, through σS, as it reorganizes the transcriptional machinery , stimulating the association of σS with the RNAP core, tilting the competition between σS and σ70 during the stationary phase in response to different stress conditions [11, 12] [8, 13]; its production is concomitant with the accumulation of σS . Assembling the different pieces of the Crl regulon and its regulatory network into one global picture is one of our objectives in this work. The evaluation of this regulon in Bacteria and Archaea will provide clues about how the regulation of genes by Crl has been recruited in all the organisms, i.e., if the regulated genes were recruited similar to Crl or if they followed different pathways. To this end, 86 genes under the control of Crl in E. coli K-12 were compiled from exhaustive literature searches. To our knowledge, this is the first attempt to describe the genes regulated by Crl in E. coli K-12; in addition, few Crl homologs were identified among bacterial and archaeal genomes, constrained to Enterobacteriaceae species. Finally, members of the regulon were identified as widely distributed beyond enterobacteria, suggesting that Crl was recruited in a secondary evolutionary event to regulate a specific subset of genes, most likely genes involved in a functional response in enterobacteria to contend against starvation. Available information regarding the Crl regulon was gathered through an exhaustive review of the literature. In this regard, diverse experimental evidences were considered significant for determining the association between the regulated genes and Crl protein regulator, such as gene expression analysis (transcriptional fusions), mapping of signal intensities (RNA-seq or microarray analysis), and inferences made from a mutant phenotype (mutation of a TF with a visible cell phenotype), among other analyses. 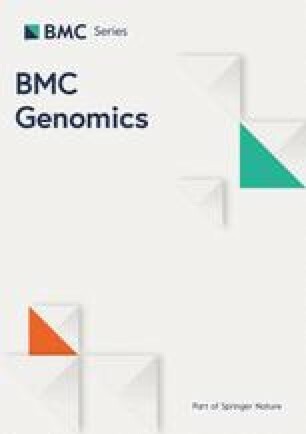 Therefore, 86 genes were included in this work as members of the σS sigmulon, of which 37 had already been reported in both RegulonDB and EcoCyc database; whereas, 49 genes identified by microarray data and crl rpoS double mutants [8, 9, 10, 11, 12, 13, 14, 15, 16], in previous works were also added (see Additional file 1). 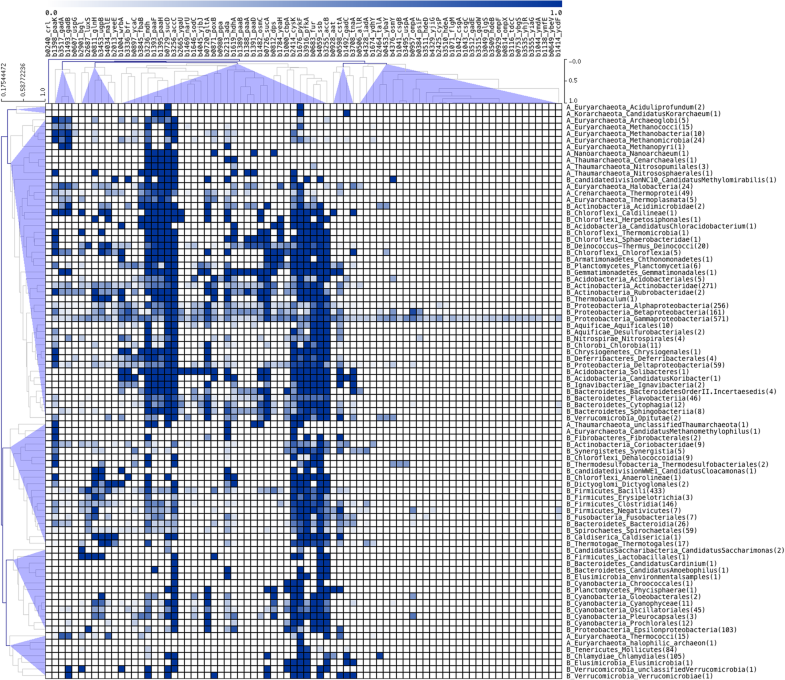 From the 86 genes identified as members of this regulon (see Table 1 and Fig. 1), 34 have a σS-type promoter experimentally determined and 8 genes have 13 σS-type promoters predicted by computational approaches . These 86 genes are organized in 77 transcription units (TUs), where 52% are TUs with only one gene. Previously, genes under the control of Crl were classified in four main categories depending on their role(s) in the cell: DNA metabolism, central metabolism, response to environmental modifications, and miscellaneous . Based on Gene Ontology (GO) annotations, multifunctional classification, and KEGG pathway maps to categorize functions, Crl-regulated genes appear to be involved in metabolic processes such as energy metabolism, amino acid, carbohydrate, and lipid metabolism, and biosynthetic processes such as glycan biosynthesis and biosynthesis of other secondary metabolites, among other metabolic processes. These functions correlate with results of the enrichment analysis using PANTHER, which showed that catabolic processes, metabolic processes, and cellular responses to xenobiotic stimuli were overrepresented among the functions associated with genes under the control of Crl (See Fig. 2). In general, genes under Crl control are involved in regulating many aspects of cellular metabolism through Crl’s interaction with a subset of genes of the σS regulon  in addition to quorum sensing playing a major role in cell-to-cell communication during stationary phase and in different processes such as biofilm formation or virulence, transporters  and genes involved in the uptake and utilization of β-glucosides . In order to determine whether additional TFs also regulate the genes under the control of Crl, RegulonDB was used to evaluate how genes associated with Crl are also regulated by alternative TFs or sigma factors. A total of 24 genes were identified as exclusively controlled by Crl, whereas 62 are regulated by additional TFs (See Additional file 2). In this regard, 55 different TFs are involved in the regulation of genes associated with Crl, including Crp, IHF, H-NS, Fis, FNR, ArcA, GadX, GadW, GadE, and CsgD (Table 1), suggesting that all genes regulated by Crl are also involved in multiple functions beyond the stationary phase, or, alternatively, phase transition has to regulate genes involved in large number of different functions. It is interesting that six of seven global regulators identified in the regulatory network of E. coli are also associated with the set regulated by Crl. Another way to look at this small network is that 19 genes of the total of Crl-regulated genes are regulated by one TF, 11 by two TFs, and 14 by three different TFs. Therefore, Crl is regulating positively 73 (85%) genes, whereas 12 (15%) genes are regulated negatively (Table 1). The predominance of positive regulation suggests that genes associated with this regulon are in high demand according the demand theory suggested by Savageau , and the activities of their proteins are enhanced to contend with varied environmental stimuli. Thirty-four of the 86 genes have a σS-type promoter that was experimentally determined (RegulonDB). Finally, the promoters of 49 genes identified as members of Crl and of the σS sigmulon, based on transcriptional fusions and microarray analysis data, remain to be experimentally determined. In order to evaluate the phylogenetic history of Crl across the bacterial and archaeal cellular domains, its homologs were identified as described in the Methods section, and a phylogenetic tree with maximum likelihood was generated (Fig. 3 and Additional file 3). From this analysis, we found that Crl and its homologs are distributed almost exclusively among Gammaproteobacteria but do not share homology with proteins from other taxonomical divisions, as has been previously noted for E. coli, Vibrio spp., Citrobacter spp., Salmonella spp., and Enterobacter aerogenes . Additional information suggests that Crl is less widespread and less conserved at the sequence level than σS . In this regard, four conserved residues (Y22, F53, W56, and W82) are important for Crl activity and for Crl-σS interaction but not for Crl stability in S. Typhimurium . On one hand it is probable that Crl homologs exist in some σS-containing bacteria; however, some species might use alternative strategies to favor σS interaction with the core of the RNAP . Therefore, our phylogenetic analysis suggests that Crl is a protein conserved and constrained to Gammaproteobacteria, such as in Vibrio spp., Klebsiella spp., Enterobacter spp., and Escherichia coli. Contrary to Crl, several other of the TFs that co-regulate the Crl regulon, are present beyond the gamma-proteobacterial, probably pre-dating regulation of some of the target genes, which have been more recently subject to Crl regulation. In addition, homologous of Crl were found in low copy numbers, i.e., one Crl-like protein per genome. This information, together with the distribution of σS, suggests that the regulator was recruited as an element to regulate a subset of σS-regulated genes in Gammaproteobacteria. In this regard, it is interesting that genes under the control of Crl contain an UP element with A/T-rich DNA sequence upstream of a poorly conserved − 35 promoter which may serve for alpha subunit binding of RNAP; suggesting that Crl could play a fundamental role in the contacts between RNAP and its promoter . In addition, Crl would increase transcription rate during the transition from growing to stationary phase at low temperatures , using indole as an effector molecule. In summary, this result opens the question explored in the follow section of whether genes regulated by Crl are also constrained to this taxonomical division. Based on the identification of orthologs of 86 Crl-regulated genes, we evaluated their taxonomical distribution across archaea and bacteria sequence genomes, as described in Methods (See Fig. 4 and Additional file 4). Based on a taxonomical profile, we determined that the evolution of the Crl regulon seems to have involved diverse losses and gains of regulatory interactions. It is possible that large portions of the regulatory network associated with Crl evolved through extensive genetic changes during the evolution of the species studied. Indeed, we suggest three main events modeled the evolution of this regulon: (i) the regulation of a large number of genes widely distributed among Bacteria and Archaea, such as those genes involved in ancient metabolic processes such as glycolysis (fbaB, pykF, pfkA, and sucA) and those involved in the tricarboxylic acid cycle (gltA and sucD) ; (ii) the regulation of genes with a distribution pattern mainly constrained to Proteobacteria, with some secondary losses in other organisms, such as those genes involved in response to stress and starvation (cstA and hdcA) or cell adhesion (csgA and csgB), among others; and (iii) the recruitment of Crl as a consequence of its emergence in Enterobacteriales. It is interesting that Crl-regulated genes are also part of the σS sigmulon, where there are no essential genes [21, 22, 23, 24]. All these elements suggest that the Crl regulon is highly flexible for phenotypic adaptation, probably as a consequence of the diverse growth environments associated with the organisms in which members of this regulatory network are present. Crl stimulates -but can also repress- the association of σS with the RNAP core in E. coli K-12 through direct and specific interactions, increasing, or decreasing, the transcription rate of a subset of genes of the σS sigmulon. This TF has been described during the transition to stationary phase at low temperatures. In our work, based on an exhaustive literature search, we found 86 genes under the control of Crl in E. coli. We considered that the quality of the experiments could compensate the few number of papers where evidences associated to the rpoS-crl and its target genes; such as microarray analysis, mutations, assay with purified proteins, among others; however, a large number of records and sources were evaluated to consider the dataset as significant. Indeed, all interactions reported in this work meet the same criteria to be considered in RegulonDB. These protein-coding genes were retrieved mainly from microarray and mutation analyses, among other experimentally supported evidence. Gathering this regulon offers a wider physiological role than previously assumed for Crl. Certainly, these genes are associated with multiple functions, including xenobiotic processes, biofilm formation, metabolic, catabolic, and biosynthetic processes, responses to different stress conditions, and protein assembly, amino acid transport, and transcriptional processes, among others. The diverse functions regulated by Crl suggest that these genes play a fundamental role in multiple functions to respond to environmental changes, mainly those associated with stationary-phase growth at low temperatures. 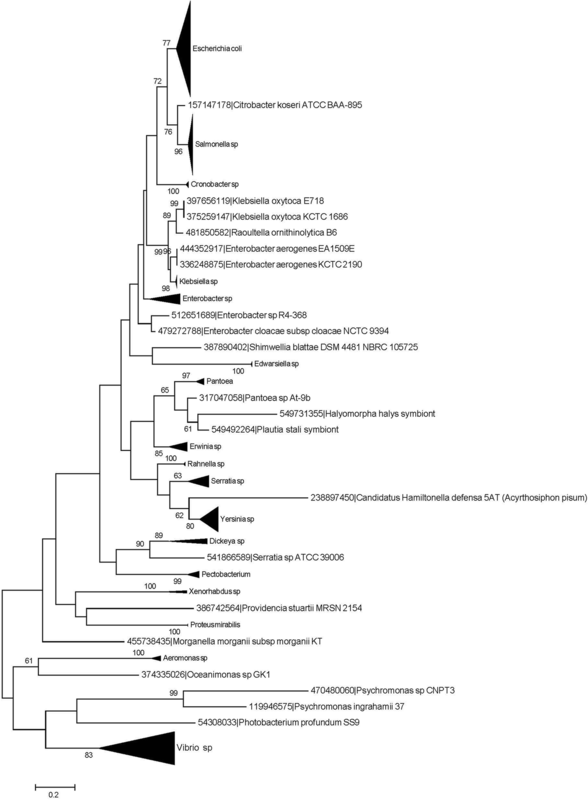 In addition, we conducted an exhaustive analysis concerning the conservation of the regulon Crl among the Bacteria and Archaea genomes, using as starting point, the knowledge gathered for E. coli K-12. From this analysis, Crl was identified in low copy numbers and constrained to the Enterobacteriales order, whereas the homologs of all regulated genes were found to be widely distributed beyond enterobacteria, suggesting that Crl was recruited in a secondary event to regulate a specific subset of genes for which the regulation (stimulation or repression) of Crl and σS helps bacteria in the phase transition. We performed an exhaustive search of the literature related to Crl (GI: 114152792) in E. coli K-12 in PubMed  under the following search strategy: coli in the title (to exclude spurious articles) and crl, rpoS (ID: NP_417221) and regulation both in title and in all fields in their different combinations (coli[all field] crl[all field] rpos[all field] regulation[all field]; coli[ti] rpoS[ti] regulation[ti]; coli[ti] crl[all field] rpos[all field] regulation[all field]; coli[ti] crl[ti] regulation[all field]; coli[ti] rpoS[ti] crl[all field] regulation[all field]; coli[ti] rpoS[ti] crl[ti] regulation[all field]). 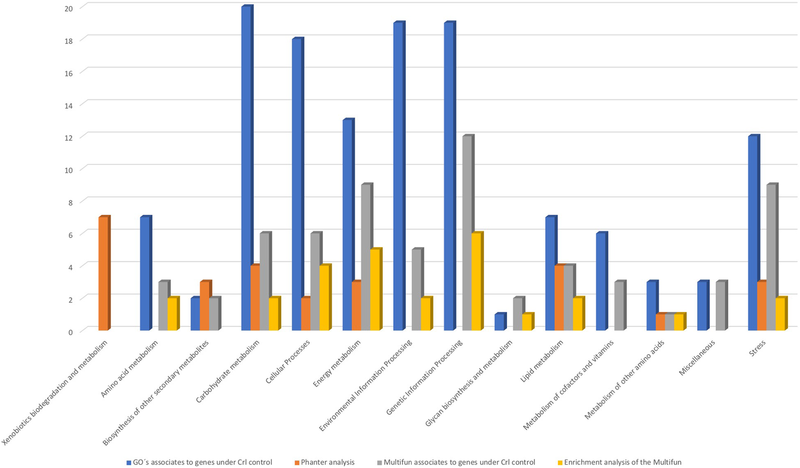 Fifty nine unique articles with different search profiles were obtained and exhaustively revised, from which, 10 were selected since they contained information on regulatory interactions in E. coli on rpoS-crl and its target genes, such as microarray analysis, mutations, and assay with purified proteins, among others (Table 1). Finally, we searched for gene/operon notes in RegulonDB and EcoCyc [3, 26] for Crl interactions and σS promoters, for assembling the network of regulation of Crl. 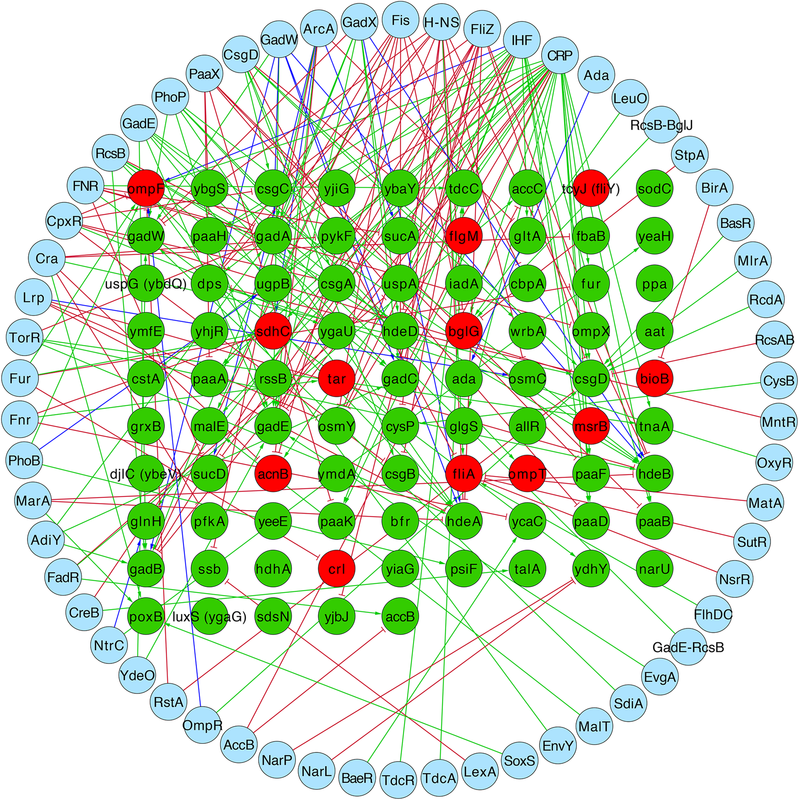 The regulatory network generated was displayed using the Cytoscape program, version 3.3.0 , with information obtained in the identified papers as well as information contained in RegulonDB . Genes under Crl control were classified based on Gene Ontology (GO) annotations (http://www.geneontology.org/) using the Gene Association Format (GAF 2.0) as well as the Multifun classification scheme . An enrichment analysis was carried out to find overrepresented annotations, using the PANTHER Classification system program, version 12.0; selecting biological processes and E. coli as parameters [29, 30]. In addition, we used KEGG to categorize the functions of GOs (http://www.genome.jp/kegg-bin/show_organism?menu_type=pathway_maps&org=eco) . The Crl protein sequence of E. coli K-12 (ID: 114152792) was used as the seed to scan all the bacterial and archaeal genomes via a BLASTp search (BLAST version 2.2.30+)  (E-value ≤10− 3 and coverage ≥60%). All proteins were compared and aligned using the Muscle algorithm  with default parameters, and results were manually edited with the program Jalview. Finally, a phylogeny was inferred by the maximum likelihood method with 1000 replicates by using the program MEGA  and the Tamura-Nei model. Orthologous genes have been classically defined as encoding proteins in different species that evolved from a common ancestor via speciation  and have retained the same function. In this work, orthologs were identified by searching for bidirectional best hits (BDBHs) in other organisms  considering the same conditions as  an E-value ≤ of 1e− 6; database size fixed (−z 5e+ 8), soft filtering of low information content (the −F ‘m S’ option), the Smith–Waterman alignment (−s T), and a coverage of at least 60%. In order to evaluate the taxonomical distribution of the genes belonging to the Crl regulon, 5321 complete genomes were downloaded from the NCBI’s Refseq genome database  and open reading frames (ORFs) that encode predicted proteins were considered. Redundancy was excluded using a web-based tool  considering a Genome Similarity Score GCCa≥0.95 . In this representative genome dataset, orthologs were traced along 18 archaeal and 69 bacterial cellular divisions. To this end, the relative abundance of the orthologs was calculated as the fraction of genomes in the group that had one ortholog, divided by the total number of genomes per phylum, i.e., the ratio (total number of orthologs in a phylum) / (total number of organisms in phylum). The corresponding matrix was analyzed with a hierarchical complete linkage-clustering algorithm with correlation uncentered as the similarity measure. We used the program MeV to perform the analyses (http://mev.tm4.org/) . We acknowledge contributions by César Bonavides-Martínez for his technical help; and Joaquin Morales, Sandra Sauza, and Israel Sánchez are very much appreciated for their computational support. Publication of this article was funded by National Institute of General Medical Sciences of the National Institutes of Health under Award Numbers [R01GM110597, U24GM077678]; and DGAPA-UNAM IN-201117. ASZ, JCV and EPR conceived and designed the research. EPR and ASZ designed and drafted the manuscript, contributed equally in the development of this work and they are the major contributors in writing the manuscript. MSP and EPR performed the bioinformatics analysis. MSP and DAVR gathered the regulation of the network. ASZ and DAVR contributed to the data extraction, and curation of the processed data of the articles. EPR performed the phylogenetic analyzes. All authors read and approved the final manuscript.